Jay at Talon Tire taught me that the state of your tires is one of the things that might save your life in a quick stop situation. Since this is quick stop season, or skidding or spinning season, make sure the ones on your car are the best you can have. Talon Tire is an independent tire dealer which has been in business since 1971, and specialize in quality tires for passenger cars, SUV’s, vans and light trucks. It is one of the few tire shops that has been approved by the consumer watchdog organization, the Automobile Protection Association. They are not just order takers – their staff has knowledge of a wide range of tire applications, and monitors the latest technological developments and trends in tire manufacturing. They can answer and questions about tires to help you make the right choice. – Wheels are fastened on your car by first hand-threading the nuts and then hand-torquing them to manufacturer’s specifications. When needed, you will be able to remove the wheels without frustration – No warped brake rotors or stripped threads or marred wheels. – Even if they install only one tire, they check and adjust all your tire pressures. – Their repairs on flats are permanent and safe, since they use only quality chemical patches applied from the inside of the tire. Repairs done from the outside, without inspecting for internal damage, are only temporary, and can result in an eventual blowout. – Their tire and wheel balancing is state-of-the-art. It’s so uniquely accurate that consumers residing several hundred kilometers away go there to resolve their vibration complaints and leave with a smooth comfortable ride. – Your “Mag” wheels are safe with them, as they use only the highest quality nylon-coated balancing weights. They won’t change the plastic finish of your wheels or cause corrosion like regular lead weights. Special tires can be bought here too. Talon Tire sponsors and supports grass roots Motorsports in Canada, and offer a wide range of competition tires. To help keep a cherished classic car on the road they stock over 20 sizes of hard-to-find vintage tires. – There is no commission, so their staff won’t propose a more profitable tire when it’s not the right choice. – There are no hidden extras in their price. – Their road hazard guarantee provides a replacement tire based on the price you paid, and NOT on a higher suggested retail price which increases every year with inflation. They offer a two month or 1,500 mile / 2,000 kilometer free trial period for every tire that they recommend for your car and driving needs. If you don’t like them, they’ll refund you 100% of the purchase price. 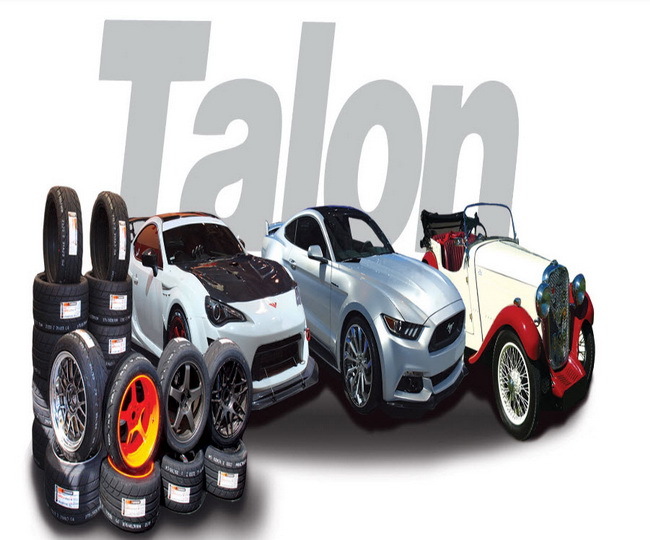 Talon Tire makes buying the right set of tires easy. This entry was posted on Monday, January 14th, 2019 at 9:16 pm	and is filed under Family Business, Repairmen. You can follow any responses to this entry through the RSS 2.0 feed. Both comments and pings are currently closed.